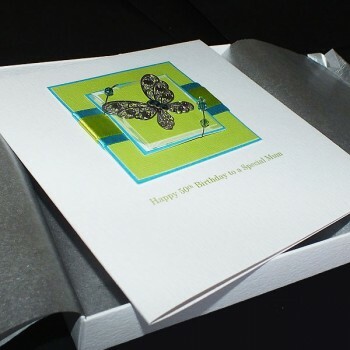 Personalised Boxed Birthday Card "Teal & Lime"
This personalised birthday card, shown here for a Mum's 50th Birthday, features a silver metal butterfly, Swarovski crystals mounted on a selection of textured and pearlescent cards and luxurious satin ribbons. 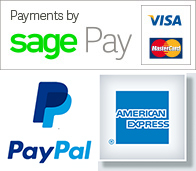 The card can be printed for any age of birthday or any friend or relative such as 18th, 21st, 40th, 60th and for a special mother, sister, daughter, gran, so please type your message in the box when you order. 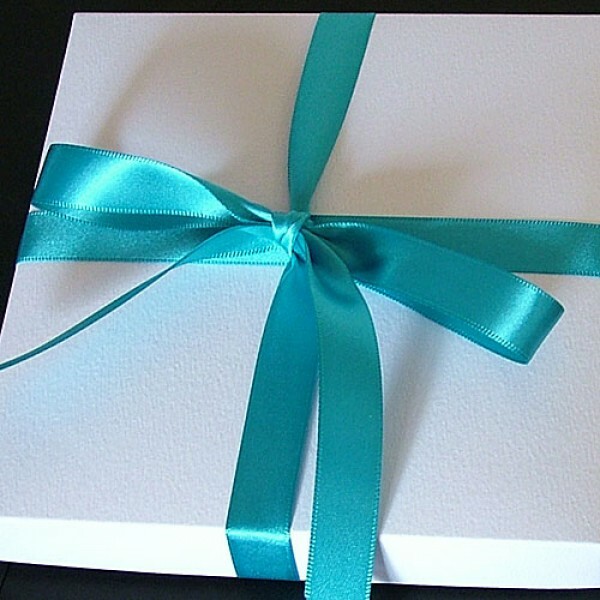 The design is created on beautiful textured white card and the card is supplied with in a tissue-lined presentation box wrapped with a pretty satin ribbon. 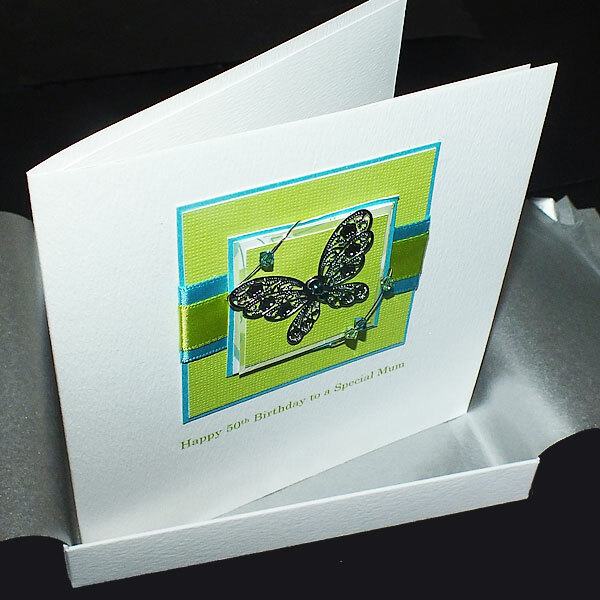 The cards is supplied with a matching blank insert for your own message but can be printed if you prefer at no extra cost. 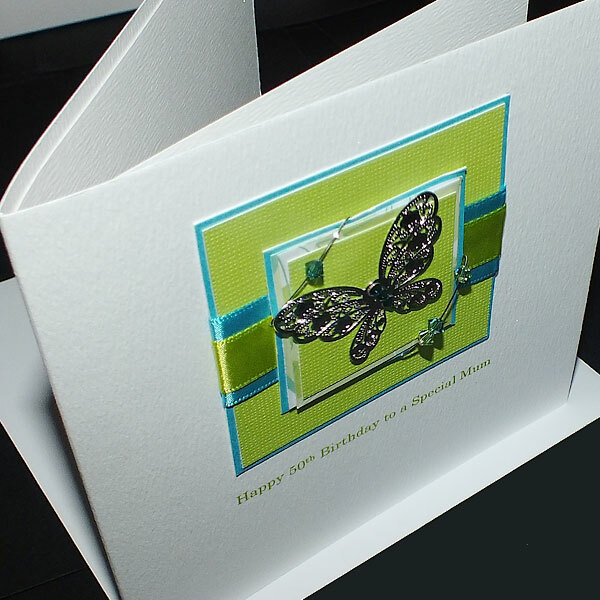 Handmade Birthday Card for Mum, Sister, Daughter etc "Teal & Lime" A pretty card design w..